N. Éanna organised a cake sale on Friday 7th December in aid of the Irish Guide Dogs for the Blind as part of their C.S.P.E. Action Project. They raised €217 which will be presented to the Irish Guide Dogs when they visit them in the New Year. Thanks to all the students, parents and staff who supported the cake sale. Over the course of the previous three weeks, five of our junior debaters participated in the ‘October Leagues’ Junior Debating Competition, hosted by Presentation Brothers Cork. The October Leagues are a friendly mace debating competition, where all participants are given 15 minutes to prepare a speech, before delivering it to an audience of participants and adjudicators. It is traditionally held in October of each year. Participants attend from six different schools from around Cork. This is the first year that CSN has participated in the competition. Michael Keohane, David Cronin, and Santiago Gonzalez represented the school throughout the weeks, as well as new First Years John O’Leary and Jack Garvey. They handled topics such as school segregation, animal testing, and police accountability with talent, putting up excellent performances against debaters from other schools in Cork City. The final of the competition was hosted on Wednesday the 24th Oct in St. Al’s Cork, where Michael Keohane made it to the grand final. After a lively and engaging debate on the voting rights of prisoners, Michael came in third place overall, winning a box of chocolates as a prize. This was a great learning experience and it was highly enjoyable for all of our junior debaters. All participants gave a great account of themselves, especially John and Jack, both first years, who participated in their first ever debating competition. Well done lads. CSN’s participation in the competition was organized by Vice Chairman of the Debating Society, Ciarán Meers, who also adjudicated all three rounds, as well as the grand final. The CSN Debating Society meets every Friday at 12:50, and all are welcome, especially new participants. This year all of our second year students are being given the opportunity to learn and practice mindfulness, meditation and relaxation techniques as part of their SPHE programme. Once a week students take some time out from their regular style class to explore a range of simple yet effective techniques promoting well-being and building resilience. These exercise encourage the students to pause, to check in with how they are doing, to connect with the body and the breath thus helping to calm both body and mind. These are lifelong tools which can be practiced anywhere particularly when students are feeling tired, unmotivated, distracted , anxious or overwhelmed . Students are encouraged to include these practices in their daily routine helping to build self-awareness and resilience and encouraging positive mental health. 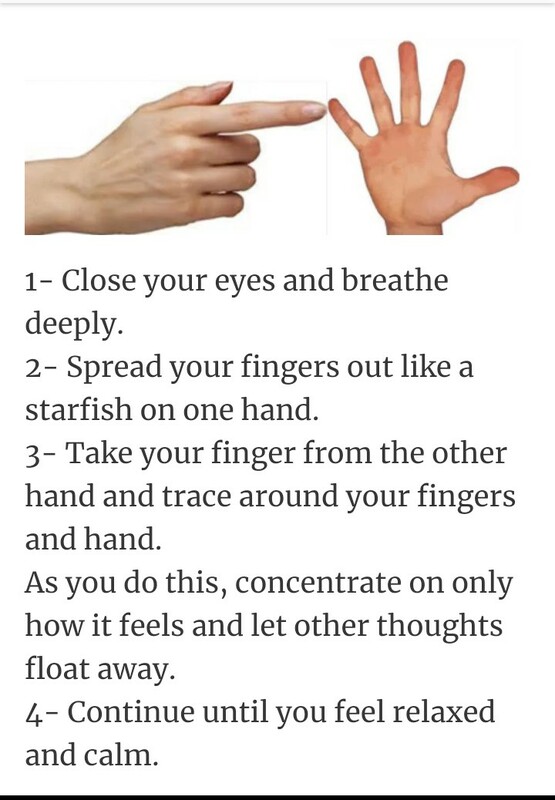 One such technique that seems to work well for many of the students is the Starfish Hand Meditation. It is a great way to quieten and refocus a distracted busy mind. The annual First Year Climb took place on Friday 20th May. They had a great day and the weather was very kind to them. Huge thanks to Ms. Kerwin & Ms. O’Connor for emailing photos throughout the climb. Special thanks also to our 6th Year student and Mountaineering Club member Krzysztof Kordeczka for taking some amazing photos during the First Year climb and throughout his time with us in C.S.N. A hardy group of cyclists set off from C.S.N. early on Tuesday 9th May. Despite the wind and the rain they had a great day cycling 53km from Dungarvan to Waterford on the Greenway. Well done to them and their teachers, Mr. Cramer, Ms. Cahalane & Ms. Evans. 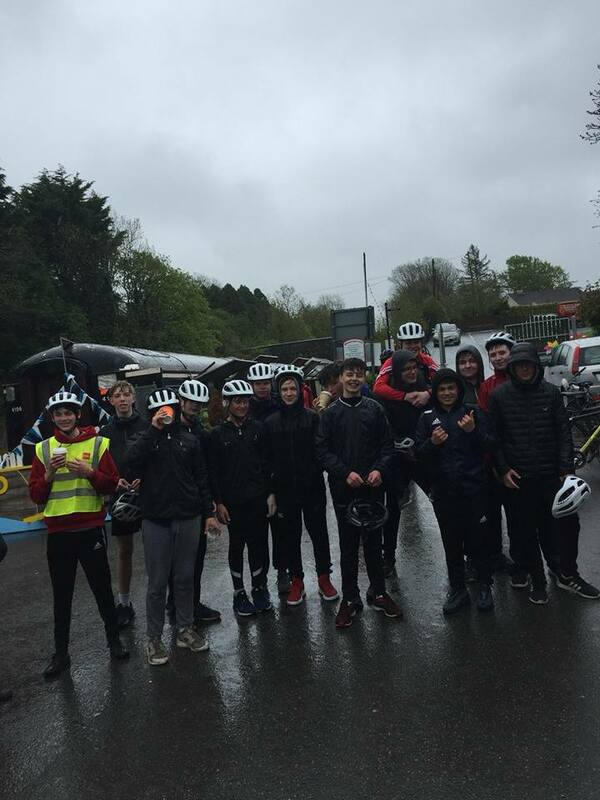 21 students from 1st year to 6th year braved a wet and windy Lough Bofinne in Bantry on Thursday 3rd May. Only two fish caught- the worst return in C.S.N.’s fishing history! Second: Charlie Moran (1 slightly less heavy rainbow trout). On Friday the 27th of April, the final of the Irish Junior Maths Competition took place here at Coláiste an Spioraid Naoimh. The final consisted of 50 students representing over 15 different schools. Our very own Fuad Haque & Ali Kahn represented C.S.N. after breezing through the regional qualifiers. The standard of the competition was very high and the boys were very unlucky not to place. We here at C.S.N. would like to congratulate the boys on their achievements and thanks them for representing our school so well. Well….before I blab on about today…a few lines first just to fill you in on last night. On previous ski trips- the movie-might have held their interest for 45 mins but then in the past…. they often got up and moved to do something different….NOT THIS GROUP!!!! I’ve never seen a group so enthralled by a movie….NOW… either the movie was THAT good or… they were just tooooo comfy, cosy and tired to move their aching muscles!! All went to their rooms and by 11 and ALL were either asleep or in bed in no time!! A seriously quiet hotel last night. Now ….it was minus 17 here today…Very VERY COLD! Ms. O’ Connor apologises for the lack of photos but it was just too cold to take gloves off!!! Despite the cold we had perfect conditions for skiing and the lads did brilliantly today – they are making great progress and they are all so good to one another. If someone misplaces a pair of goggles, gloves or neck scarf – someone else is always ready to lend theirs. And on a cod day that is very much appreciated!! Today we finished classes at 3pm and then there was Free-skiing with the teachers. As we zigzagged down the pistes there were a lot of smiling faces – (which were a little sun and wind burned!!) but all looked to be well pleased with their achievements. Back at the hotel now and freshly showered, all look invigorated and happy. They’re hanging out in their rooms, at reception or in the games room. Wherever there’s a few of them you hear healthy hearty laughing- it’d make you smile. One last thing I have to mention is the FOOD! Ms O’Connor’s hands and phone finally defrosted and she sent us some photos of the days action on the slopes. Sunny but a bit chilly….-17C…..
Congratulations to Brian Whelton N.FIN who won Best Speaker in the Annual First Year Debate which took place at lunchtime on Tuesday, 16th May in Room 17. The debate was Mace style .The speakers were given the motion and were allowed 10 mins to prepare their speeches.The event drew a big crowd and both speakers and audience members waited with bated breath for the motion ‘TTHB the internet has done more harm than good’ to be announced. We were treated to a really great debate with arguments that were well thought out. The speakers were Mark Mosolygo (N Ron), Ian Kenny (NRon), Kevin Chakkatty (NFin), Ciarán Kirby (NRon), Emmanuel Koledoye (NFin), Brian Whelton (NFin), Eoghan Ahern (NFin) and Rían McNeill (Nron). For many of these speakers it was their first time delivering a speech so very well done to them, a fantastic achievement. Many thanks to the society’s chairperson Shane Cahill (5th Yr) for organising the event so well and to his team of adjudicators Jason Scully, Ben Smith and Ciarán Meers.